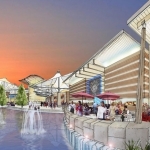 Gordon Group Holdings announces a $350 million investment project to build a mixed-use development featuring a state-of-the-art retail and entertainment complex of international caliber in the City of Mirabel. Set in the lush environment of the Lower Laurentians around a man-made lake, this destination lifestyle centre will integrate the largest indoor aquarium in Canada, a large educational entertainment facility focused on children called Kidtropolis and a vaste retail and entertainment center featuring a small scale marina, a food emporium and terrace bordering the water features, a rollercoaster as well as the biggest names in retail and fashion, home decoration and other key sectors. The project, officially named “Lac Mirabel”, will be completed over the next three years. Once finalized in 2007, the economic activity of the project will enable the creation of more than 3,200 permanent jobs and add approximately $500 million in property value, which represents $ 6.5 million in additional taxes for the municipality. “We are convinced Mirabel has the potential to make this project a huge success without compromising its residential, industrial and commercial growth plans,” explains Mr. Scott Gordon, of Gordon Group. The land on which the project will be built is zoned for commercial use with a total area of approximately 1.3 million square metres. The site, which borders the Laurentian Autoroute, is also strategically situated in an area already identified for the construction of an overpass and access roads to serve the new development. 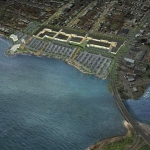 “We predict that the establishment of the project in Mirabel will give the surrounding municipalities a dynamic boost. 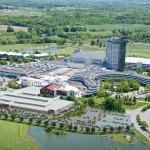 In addition, once the project is completed, residents of the Greater Montreal area will be attracted to “Lac Mirabel’s” educational resources and recreational facilities ,” added the director of the project, Mr. Louis Grenier, of the Groupe Gauthier Biancamano Bolduc (GGBB), a Montréal-based engineering consulting firm. 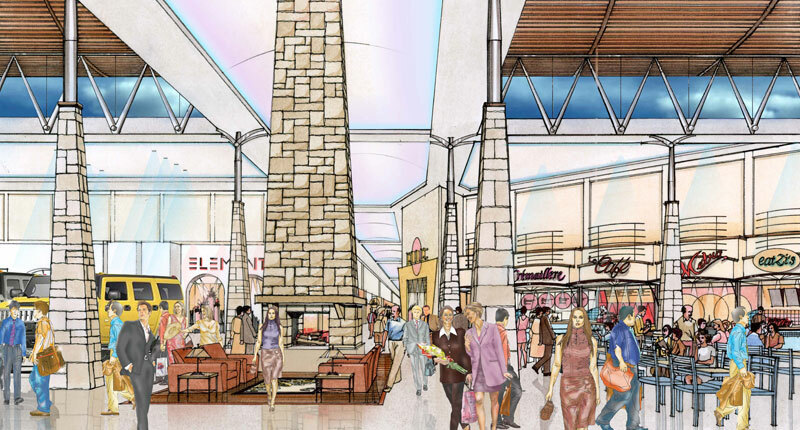 According to Mr. Grenier, the project will be quite spectacular since it is based on a concept of Mr. Rubin Stahl, former president of the renowned West Edmonton Mall, who promises, in conjunction with Sheldon Gordon of the Gordon Group, to create something even better in Mirabel. 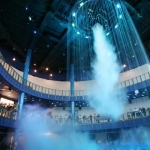 “The designers at Design International and the engineers are already hard at work with the drawings for our artificial lake, the indoor aquarium that will house over 20,000 animal species and an educational attraction park for kids called “Kidtropolis”. “Lac Mirabel” will be unique in the world and is destined to become a sought after tourist attraction, ” promises Mr. Stahl. 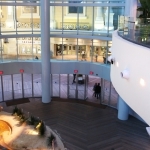 The Lac Mirabel project was made possible through the concerted efforts of several business and financial partners: Rubin Stahl, the promoter, who recognized the potential of the Mirabel land site as one of the most promising real estate investment opportunities in North America; Gordon Group Holdings, renowned for the design and marketing of retail entertainment projects and to whom we owe The Forum Shops at Caesars Palace, in Las Vegas, The Shops at Mohegan Sun, in Uncasville, Connecticut, Bridgemarket, in New York and The Pier, in Atlantic City; and finally, Dessau Soprin, an engineering group and their urban planning partners at GGBB, who are responsible for assembling the partners and leading the project’s design and execution. Plans and final tenders for the project will be filed shortly for final approval by the City’s urban planning committee, prior to discussions on infrastructural requirements between the partner and government authorities. The project will be executed in stages between now and 2007.